Flooding forced one Baldwin County farm family to jump into action, and move all their animals to higher ground. The Rutledge family has owned the place for more than 20 years and says they haven't seen flooding like this since the late 90's. Claire Davis spent the afternoon with them. Flooding on the Oconee River is causing a Baldwin County company to scramble. Southside Equipment on East Andrews Street in Milledgeville has moved all of the yard and construction equipment they sell to higher ground. That's after the owner, Billy Brack, says part of the land out back, where most of his equipment was sitting, started falling into the river. One Milledgeville family says they didn't think they would have food, much less gifts for Christmas this year, but the Baldwin County Salvation Army changed all that. Claire Davis met with the couple today to learn more about their challenging year. Vanessa Hiller and her family haven't had an easy year. Vanessa was in a car wreck a few months ago, leaving them without transportation. "I ended up losing my other job because I couldn't get to work and back anymore. So I just kinda started walking around looking for a job," said Hiller. Baldwin sheriff needs a few good men, women to join "Posse"
Baldwin County Sheriff Bill Massee is looking to round up some able bodies to assist his office in times of need. 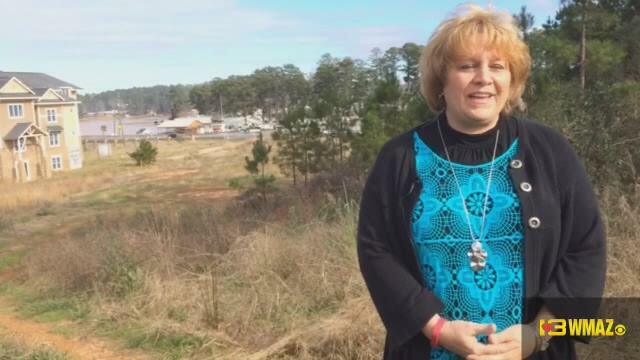 Estella Ellison says doesn't like the change she's seen in her hometown of Milledgeville. The 20 drive-by shootings police reported in the city and county since July, particularly bother her. That's why she's turning to her prayer organization, the Mighty Move of God Prayer Line. Barbara Ross answers calls on the line. "A lot of people are depressed. A lot of them call in and have drug addictions, different addictions. They need prayer, they need a word from God," Ross said. She also lives in Milledgeville and says the gun violence in the last few months left a cloud over the community. "It's very devastating. It's scary," said Ross, "You're scared to go out at night. You never know what's gonna happen." The group will give out toys, food and pray with people who come to the Graham Homes basketball court on Saturday. Three people charged last month in a Baldwin County shooting now face murder charges. In late November, Devron Torrance was shot in a car on Horne Avenue. He later died at the hospital. Captain Brad King with the Baldwin Sheriff's office said they arrested Montagus Davis and two juveniles within days of the shooting. They were each charged with two counts of aggravated assault. Now they all face a murder charge. One of the juveniles, Cameron Brooks, is now seventeen. He's in the Baldwin County Jail. The other juvenile is being held at the regional youth detention center in Sandersville.